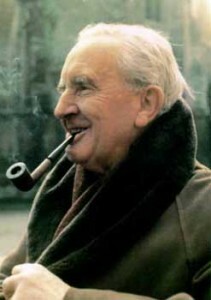 For those who need no introduction, there is no better commemoration than to spend a winter evening snug in one’s own Hobbit hole reading the works of the man himself (or watching Peter Jackson’s masterly and inspiring movies of The Lord of the Rings). Published: January 3, 2016 | This entry was posted in North American New Right and tagged articles, commemorations, Greg Johnson, J. R. R. Tolkien, literature, North American New Right, originals, The Hobbit, The Lord of the Rings. Both comments and trackbacks are currently closed. Another brilliant and insightful piece by the one and only Greg Johnson. Trends in the Church are…..serious, especially to those accustomed to find in it a solace and a ‘pax’ in times of temporal trouble, and not just another arena of strife and change. Since Peter Jackson is so intent on extracting every last dollar out of the Tolkien franchise, here’s an idea: Why doesn’t he make a movie out of the Scouring of the Shire? The omission of the Scouring from the LOTR film trilogy was a major, well, omission, given that in the novel it was the payoff for all the travails and trekking of the Hobbits. The relevant cast members could be rounded up for one more go at it, Christopher Lee can perhaps be CGIed back into existence, and voila…one more movie in the series! There is that matter of Saruman and Wormtongue being killed in the extended version of Return of the King, but I am sure we can come up with any number of creative ways around that…like maybe these were just clones left behind at Isengard to fool the Fellowship. Seriously, there is an opportunity here for Jackson or some other enterprising film maker to do something great. Robert E. Howard wrote a few stories that can be interpreted as allegorical about the jews. The best one is “The Shadow Kingdom” featuring King Kull. Kull discovers that many of the officials in his regime were actually serpent men whom could assume a human appearance. Kull’s palace was a beehive of secret hallways and rooms; the serpent men had been killing kings for centuries and replacing them with one of their own. It makes one wonder how much Robert E. Howard knew about the jewish question. Anyways, if you have not read “The Shadow Kingdom,” you should it’s a great story. Happy 114th Birthday Ol’ man Tolkien. You left this fallen world better off than the way you found it. Now it’s up to us to do the same.